Some of the mammalian skulls in the Mercer Unviersity collection. The skulls will go to Georgia Tech. A little trove of Georgia’s biological treasures once without homes now have them. 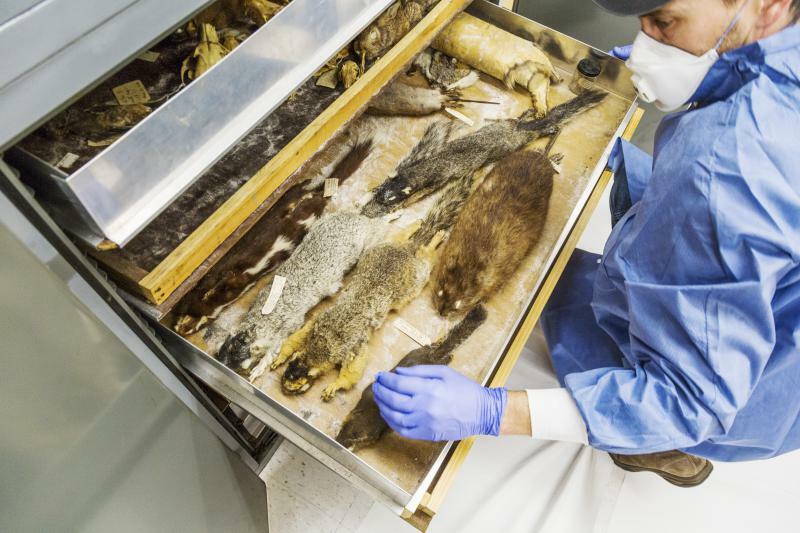 They were preserved animals, mammals and birds, that instructors and staff in the Science Department at Mercer University found while moving to their new building. Mercer biologist Craig Byron said they needed a better home than a dumpster out back. Byron had arranged to get the bobcats, fox squirrels and muskrats to the US Geological Survey’s collection at the Smithsonian until the little unit at the USGS had their budget cut. So where could they go? Well, Bud Freeman, director of the Georgia Museum of Natural History will take some of them. “I'm a librarian. I guess all natural history people are librarians in some respects,” Byron said. Or maybe more of a collector. He spends a lot of time taking unwanted stuff off of scientists' hands. Today he’s adding to a collection of about 100,000 specimens. Freeman said it’s all a window into the past. 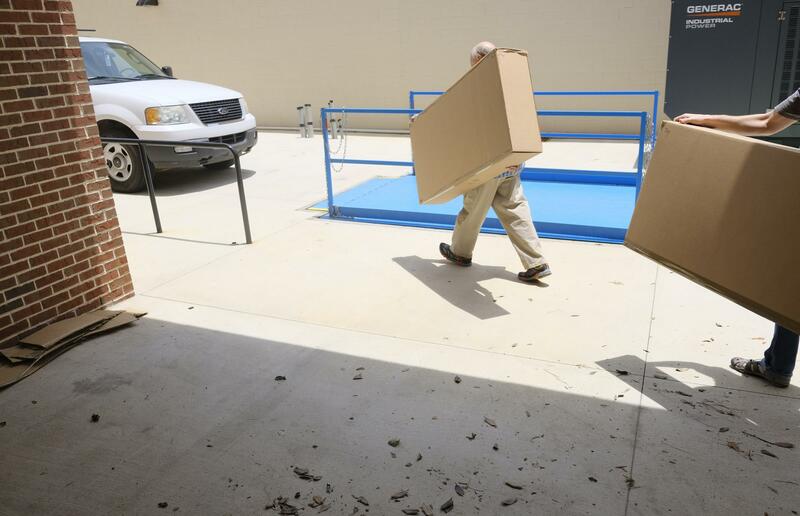 Bud Freeman, left, Director of the Georgia Museum of Natural History, and Craig Byron, Biologist at Mercer University, carry boxes full of mammal skins to Freeman's truck so he can haul them back to his museum in Athens. “It's a time machine,” he said. A time machine that reveals more today than it did when it was collected. Mercer’s furry pelts are an example. “So within the hairs are stable isotopes,” Freeman said. Those are chemical signatures that can be read read like a book to tell us lots of things. “Something about where they were feeding and the type of food webs they were involved with,” Freeman said. 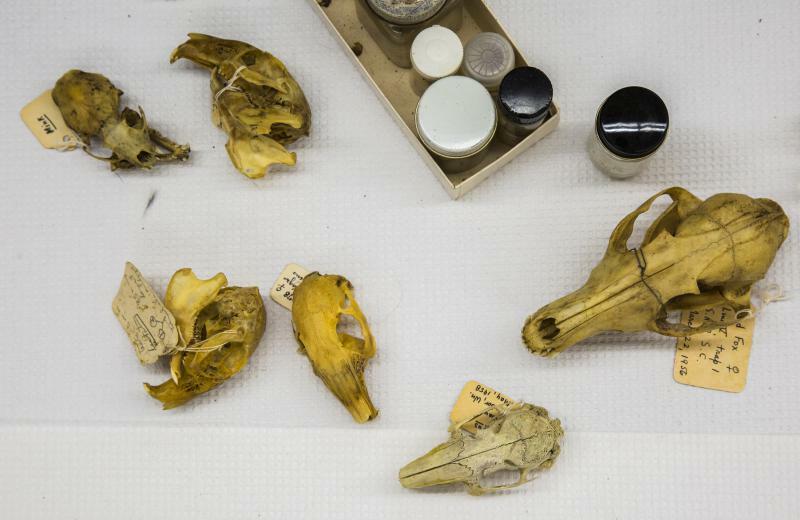 Scientists only learned to do isotope analyis 30 years after these animals were collected in the 1950s, which hints at the real strength of museum collections. “The strength is probably the questions you haven't thought of yet,” Freeman said. Freeman is only taking the mammal skins for the natural history museum. The birds in the collection are safe at Louisiana State University. 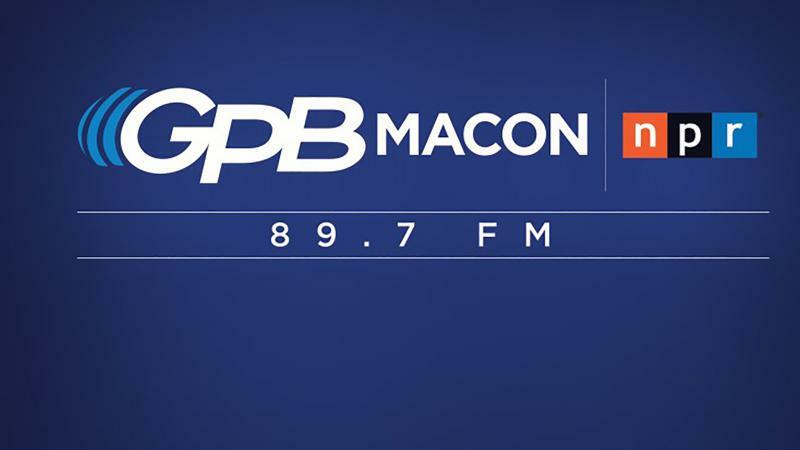 The skeletons in the collection will be used to ask is how climate change is affecting middle Georgia mammals. Another scientist at Georgia Tech plans on beginning that research. A roomful of children closes in on Puddles the copperhead snake. She’s in a clear plastic box. And today she’s acting as an ambassador for a copperhead catch and release program run by the Atlanta-based Amphibian Foundation. Mark Mandica is the Executive Director of the foundation. They relocated 14 copperheads last year. And as spring warms up, these common snakes are waking up again.